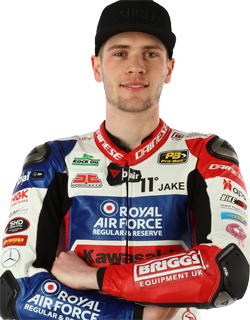 Jake Dixon got his Bennetts British Superbike Championship Showdown campaign off to a flying start at Oulton Park today (Friday), topping the free practice times in both dry and wet conditions to keep the RAF Regular & Reserves Kawasaki team at the top of the board. Dixon trails championship leader Leon Haslam ahead of this weekend, but the opening free practice session was initially led by Peter Hickman as the Smiths Racing BMW rider aims to kick his Showdown off in the best possible way this weekend after a tough round at Silverstone last time out. However Dixon then went to the top before he was then displaced by Kawasaki rival Luke Mossey in the closing stages. Dixon wasn’t going to settle though and on his final run of the session he moved ahead again, with Haslam also moving up the order to second, with 0.381s between the top two at the chequered flag. Danny Buchan had a strong performance to hold third place in the closing stages for the FS-3 Racing Kawasaki team after narrowly missing out on the Showdown with Josh Brookes maintaining a place in the top five for McAMS Yamaha. Hickman dropped to sixth in the closing stages, ahead of Mossey and Jason O’Halloran, who had been running inside the top five earlier in the session with James Ellison and Bradley Ray completing the top ten. Final Showdown contender Glenn Irwin missed out on a place in the top ten in 14th place, whilst brother Andrew crashed out unhurt at Water Tower. The second free practice session took place in wet conditions ahead of Datatag Qualifying tomorrow and Tommy Bridewell had set the initial benchmark in the session onboard the Moto Rapido Ducati but following a red flag interruption for conditions, and when the riders then returned to the track the times began to tumble. Dixon was the first to take advantage of the improving conditions to set the pace for the RAF Regular & Reserves Kawasaki team, but Bridewell was soon back on top. The pair traded positions at the top of the times but it was Showdown contender Dixon who had an impressive 1.301s advantage at the chequered flag. 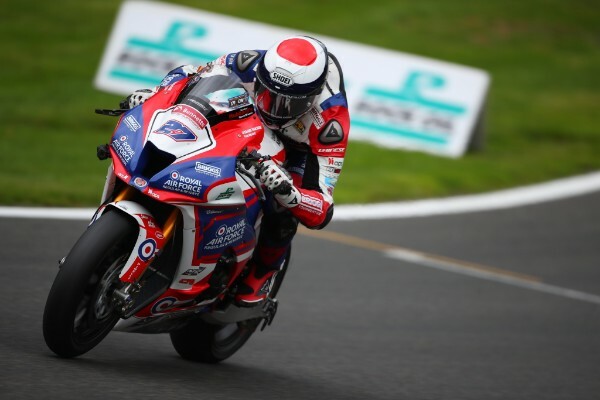 As the conditions improved, the pack continued to shuffle and O’Halloran surged into second in the closing stages, whilst Cooper also proved his pace in both wet and dry conditions to maintain a position inside the top five for Buildbase Suzuki. Ellison set the fourth fastest time with a final run of improvements to push himself up the order for the Anvil Hire TAG Yamaha team with Michael Laverty making the top five cut in the final minutes of the session. Bridewell held sixth place at the chequered flag ahead of Showdown contender Brookes and championship leader Haslam with Andrew Irwin and Mossey completing the top ten. The JG Speedfit Kawasaki improvements nudged Ray back into eleventh after he had earlier run in the top five. Showdown contenders Hickman and Glenn Irwin held 16th and 17th place respectively. Fastest in free practice 1 and 2“I have been happy with our pace in both conditions today. I wanted to get out there and be consistent in the wet as well as the dry as we don’t know what the next few days will bring. “We still have areas we need to work on and we will focus on improving those tomorrow, but I am feeling happy with how both sessions have gone for us today. “It has been good today. It nice to be fastest but the time to be fastest is on Sunday. I feel good in all conditions now so whatever the weather throws at us I think we will be competitive.